The Museum houses one of the city’s newest hotspots for Nordic cuisine, Freya. 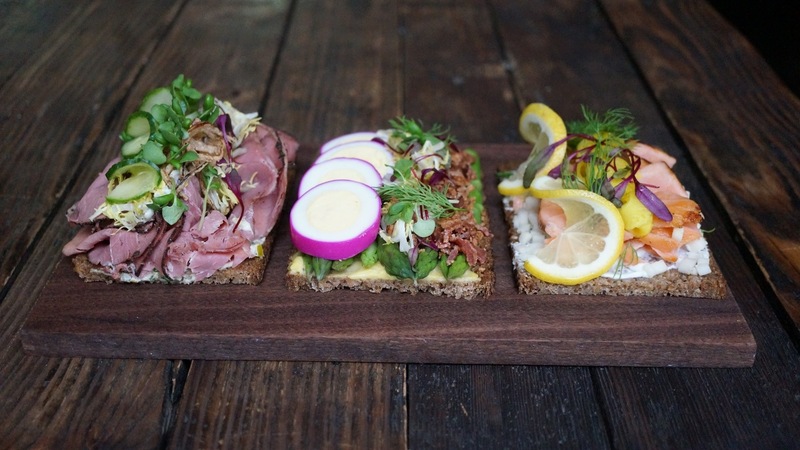 Freya offers a delicious menu of smørrebrød, personal smørgåsbord, Danish Dogs made with Uli’s Famous Sausage, and treats such as pepperkakor and toscakaka, along with other Scandinavian favorites. Freya also features craft cocktails made with fresh ingredients and liqueurs such as Aquavit and Brennivín. Chef Brendan Arntz, of Seattle’s innovative, award-winning City Catering Company, crafted the menu using the foundations of Nordic cuisine, influenced by the progressive palate of the typical Pacific Northwest foodie. The café is open during Museum hours. Museum admission is not required. Learn more about Freya at their website.